True story recently reported in the news: A couple on route to their son’s house became stranded in a remote California reservation wilderness after the husband took a wrong turn. The woman’s attitude remained supportive, even after the car got stuck on a rock. Sadly, the diabetic husband, 79, died during the two-week ordeal. However, his death was reported to be as “as peaceful as possible,” in large part because his wife never berated him for the mistake. Instead, she assured him that a wrong turn didn’t affect her opinion of him nor did it diminish the loving life they had shared. This woman realized that while failure is bitingly real, it’s only an event, not a personality trait. She didn’t have to assign fault or label her husband a “loser” because he turned right instead of left – something he’d never do again, if given another opportunity at that same intersection. Wouldn’t we all desire a partner — or an employer — with this incredible non-judgmental mindset? Wouldn’t it free us to be the best we could be? How can we cultivate it in ourselves? That’s the harder question. We learn at a very young age that personal value is most often defined by a variable “right” or “winner” measuring stick. For example, my grandson Alex, 6, already has encountered report cards and a formal definition of what it means to pass or fail. After coming in third in his Chicago baseball league, he also felt the difference between winning and losing a serious game. Not winning carried the stigma of being labeled a “loser.” Ouch. Like young Alex, many of us learn to define our self-worth on external concepts such as “winner” or “loser”. In this way we learn to fear failure and to self-censure, to set aside pursuits in which we don’t show immediate or obvious talent. 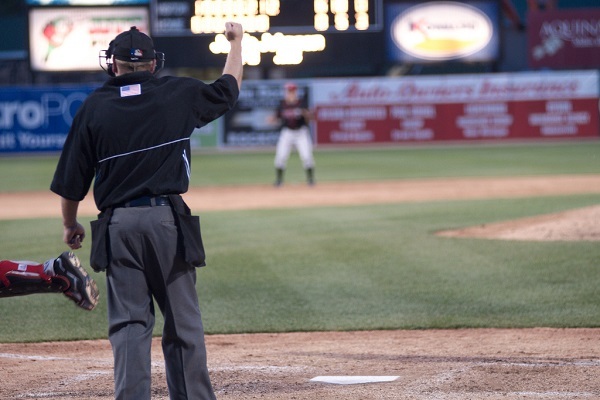 It’s hard to circumvent a “three strikes and you’re out” workplace culture, too. My first corporate experience as a mid-level manager was with a small firm where mistakes were swiftly punished by the top executive. This atmosphere crushed innovative risk-taking behavior or thought. Employees showed incredible attention to detail but were nearly frozen in their tracks by market fluctuations or when faced with unusual customer service requests. Soon I, too, developed a CYA defensive shield, caring most about flying below the radar and preserving the status quo. Early in our careers, not many of us have the emotional IQ or personal confidence to realize, as Thomas Edison did, “I have not failed 1,000 times; I have successfully found 1,000 ways that will not make a light bulb.” Of course, Edison never failed 1,000 times the same way – that was his genius. He made sure he learned something from each experience and then changed his blueprint accordingly. Similarly, Michael Jordan noted, “I have missed more than 9,000 shots in my career. I have lost almost 300 games. On 26 occasions I have been entrusted to take the game winning shot, and I missed. I have failed over and over and over again in my life. And that is why I succeed.” Closer to my heart, young Alex was given a “most improved player” trophy from an enlightened baseball coach who believes that continual improvement has value, win or lose. I was grateful that this man helped instill that core value in our youngest one. Two closing questions for this week for you, then: (1) How can you best develop a non-judgmental, calculated-risk approach to work; and (2) What might you attempt after consciously adopting the credo that failure is only an event and not a character trait?